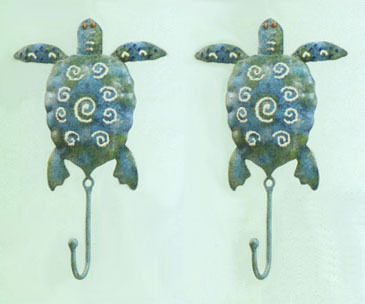 These Sea Turtle Single Hooks feature detail and craftsmanship that is unparalleled. A unique design for your home decor and the perfect gift for the sea turtle lover. Functional artwork that will bring a lifetime of enjoyment. metal, 5 inches W. x 8 inches H.